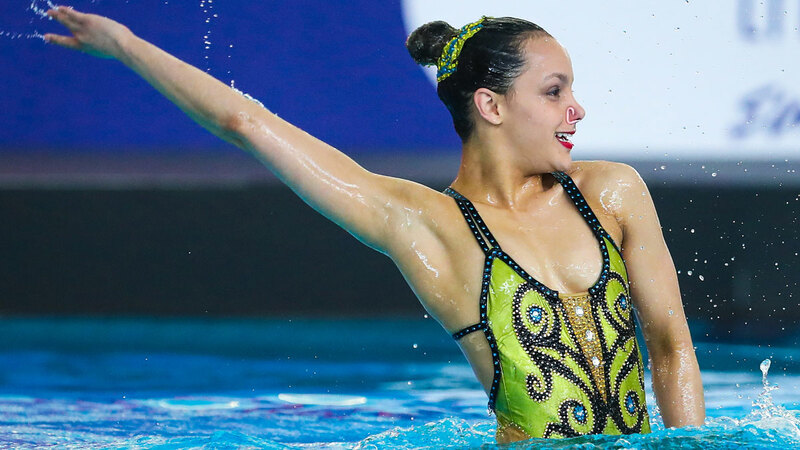 Phoebe Bradley-Smith secured her first individual senior national title with Solo Tech gold at the 2017 National Synchronised Swimming Championships in Nottingham. 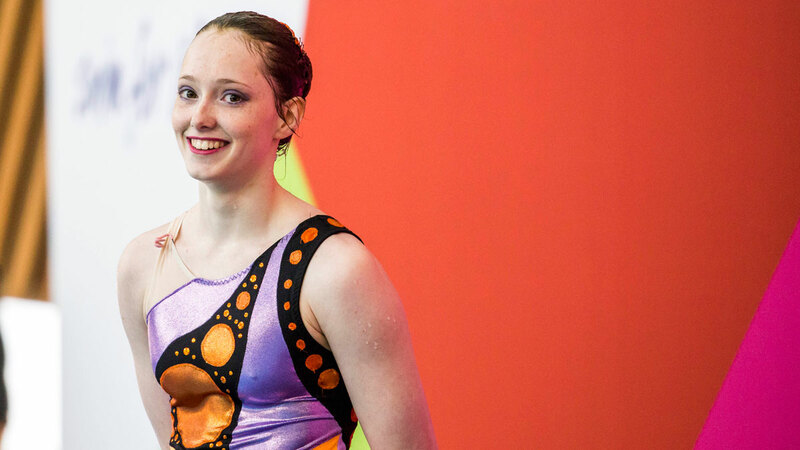 The City of Birmingham swimmer scored 63.8865 for her routine to finish ahead of City of Leeds’ Rebecca Richardson and Team Bath’s Ilaria Brandimarte on the podium. The 20-year old has long been one of the most promising young swimmers in the country. She has been a regular medallist at National Age Group level and competed with Team GB at the 2015 European Games as well as Great Britain at last year’s European Championships in London. 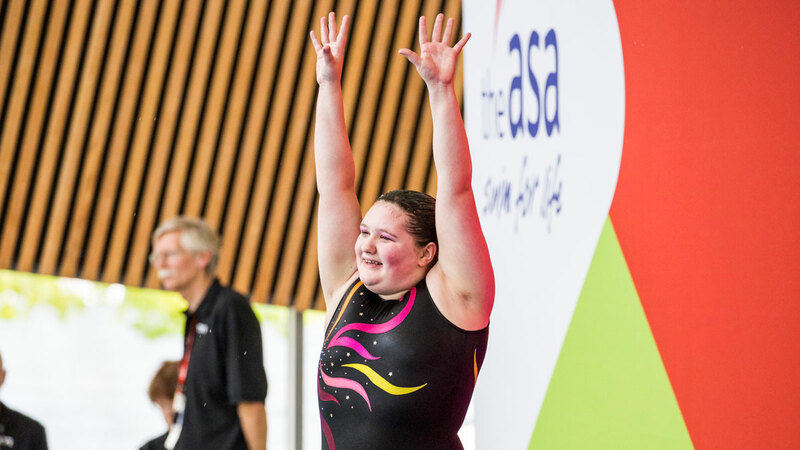 And Bradley-Smith underlined her status as one of top senior swimmers in the country with a confident and composed performance to Paloma Faith’s Never Tear Us Apart in Nottingham. “I’m really pleased because I’d been really focusing on my elements and I think that paid off,” said Bradley-Smith, after picking up the Colin Lushington Memorial Trophy. “I was so focused on my spins. I really didn’t want to get a penalty for any of them. While City of Leeds’ Rebecca Richardson finished more than three points back in silver, it was a close-fought battle for the medals. Richardson impressed with her energy and control for her routine to the uplifting ‘Formidable’ by Belgian singer Stromae. But she was given a point penalty for going over time, and awarded 0 for her first of the five technical elements, leaving her with a score of 60.4174. 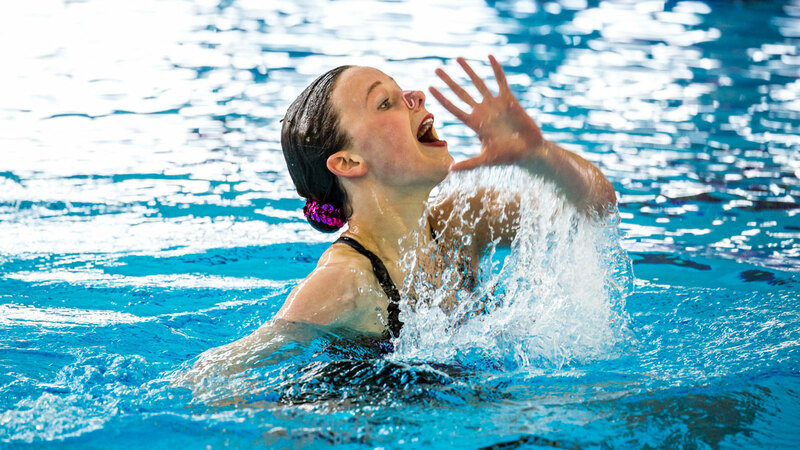 City of Birmingham’s Phoebe Bradley-Smith performing her Tech Solo routine in which she won gold at the 2017 National Synchro Championships. City of Leeds swimmer Rebecca Richardson performing her Tech Solo routine at the 2017 National Synchronised Swimming Championships. 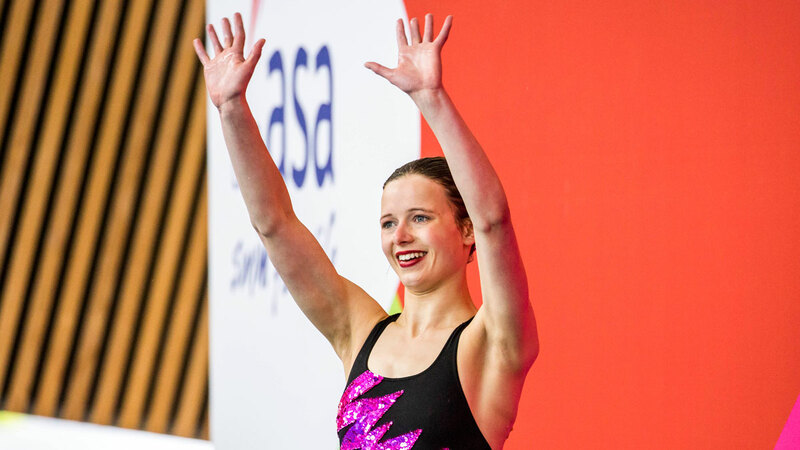 Silver medallist Rebecca Richardson waves to the crowd after her Tech Solo routine at the 2017 National Synchronised Swimming Championships in Nottingham. Team Bath swimmer Ilaria Brandimarte performing her Tech Solo routine at the 2017 National Synchronised Swimming Championships in Nottingham. 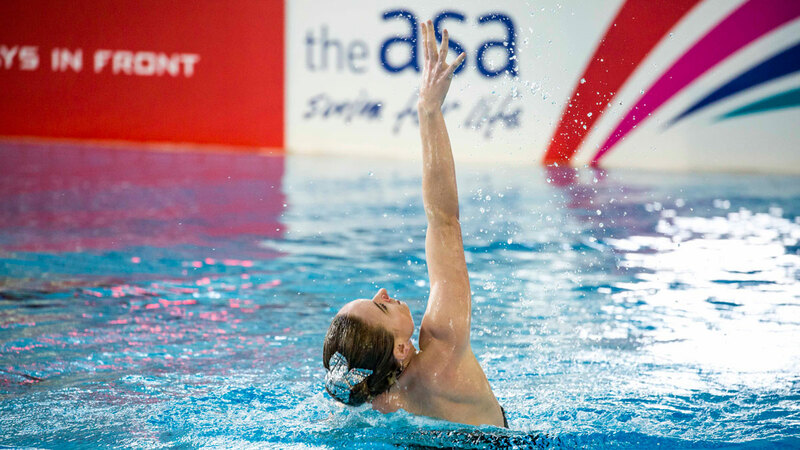 City of Salford swimmer Melissa Knapton performing her Tech Solo routine at the 2017 National Synchronised Swimming Championships in Nottingham. Rushmoor swimmer Chloe Thickett performing her Tech Solo routine at the 2017 National Synchro Championships in Nottingham. Rushmoor’s Chloe Thickett smiles after her Tech Solo routine at the 2017 National Synchronised Swimming Championships. 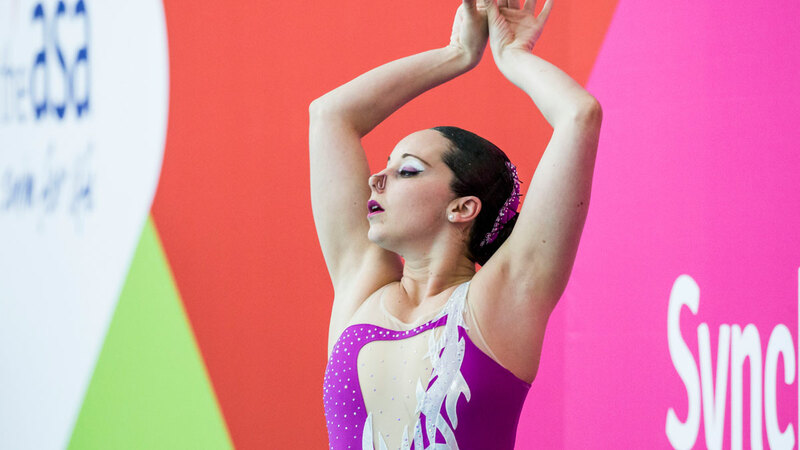 Preston Aquatics’ Matilda Hadcock performing her Solo Tech routine at the 2017 National Synchro Champs. 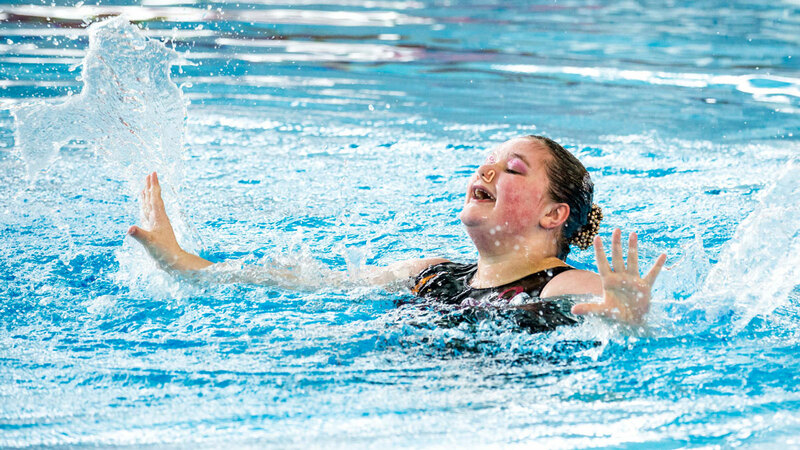 Preston’s Matilda Hadcock waves after performing her Solo Tech routine at the 2017 National Synchronised Swimming Championships in Nottingham. Brandimarte won her second national medal in three years as she scored 59.2683 for bronze to go with her gold from two years ago. 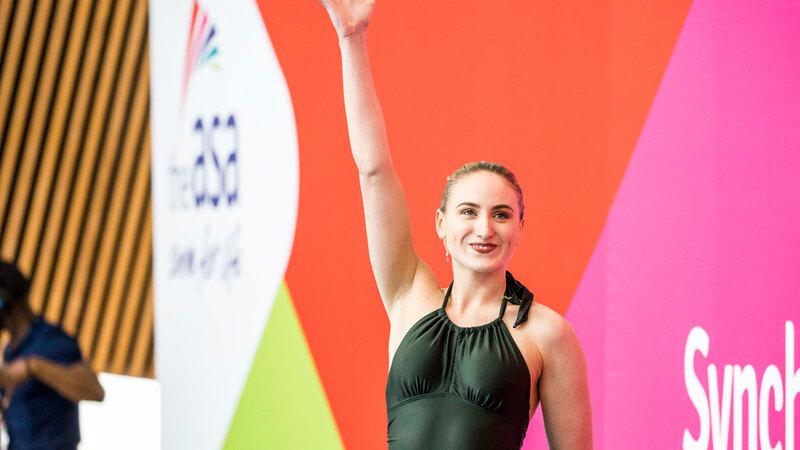 The Italian-born swimmer is competing for Team Bath for the first time at this year’s Championships, and put in an elegant performance to the contemporary instrumental ‘Experience’ by Italian pianist Ludovico Einaudi. And while she also scored 0 for her first element, she had enough to stay ahead of fourth-placed Melissa Knapton (59.0532) in the scoreboard.